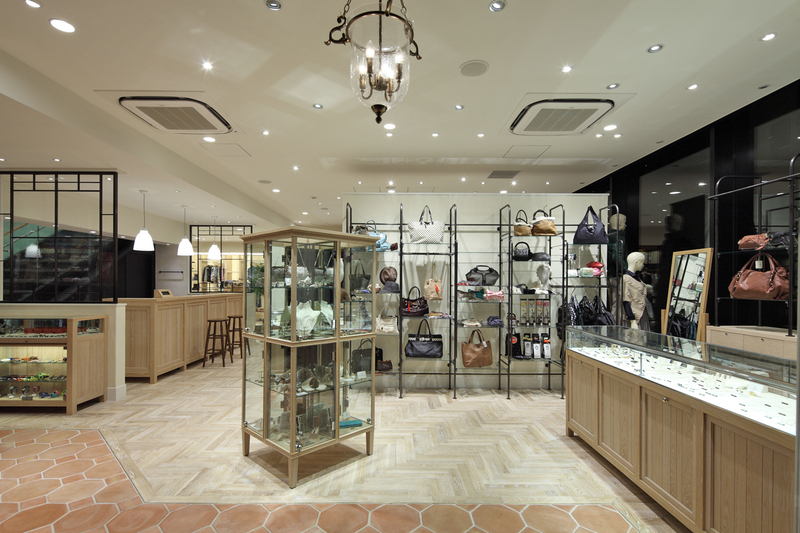 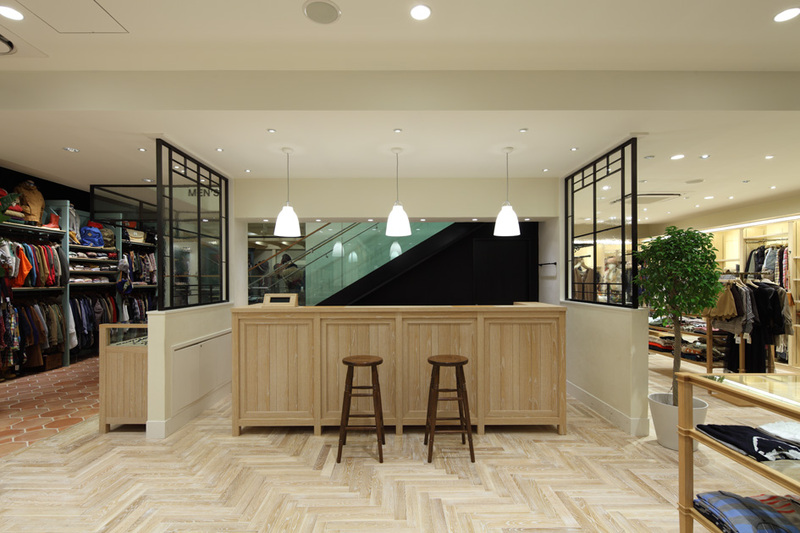 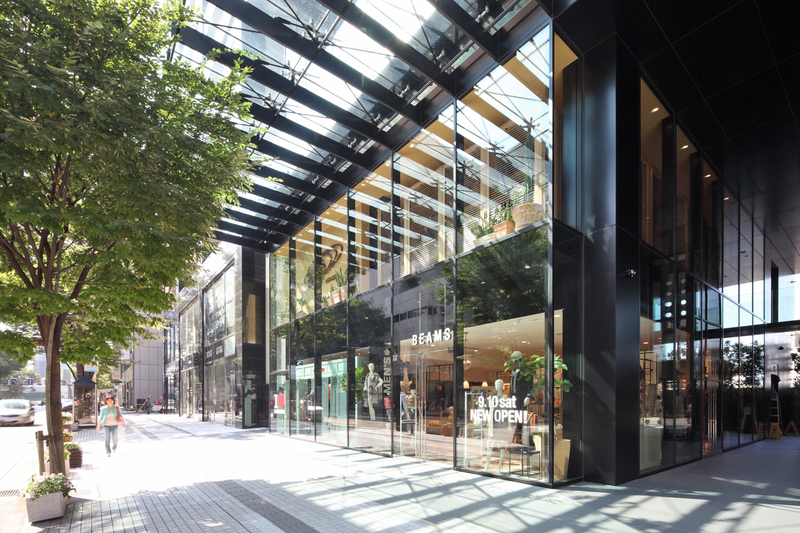 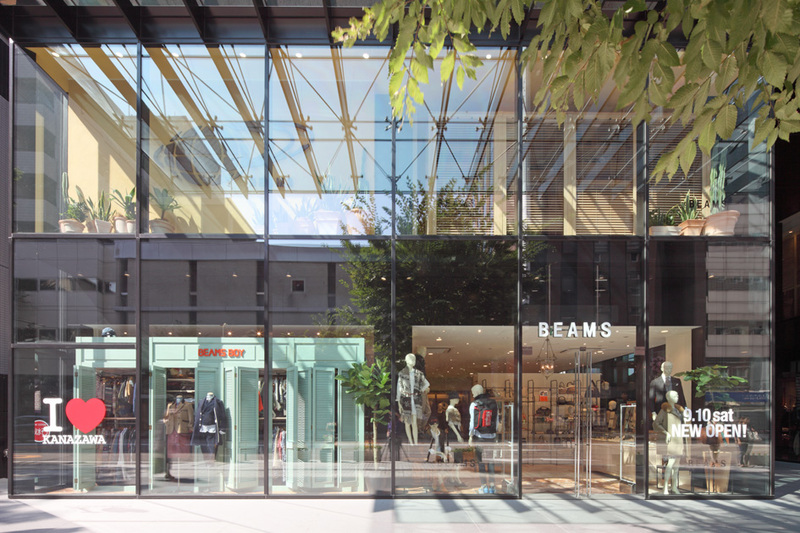 BEAMS opened this boutique in a new mixed-use building in the Korinbo area of Kanazawa in Japan's Ishikawa Prefecture. 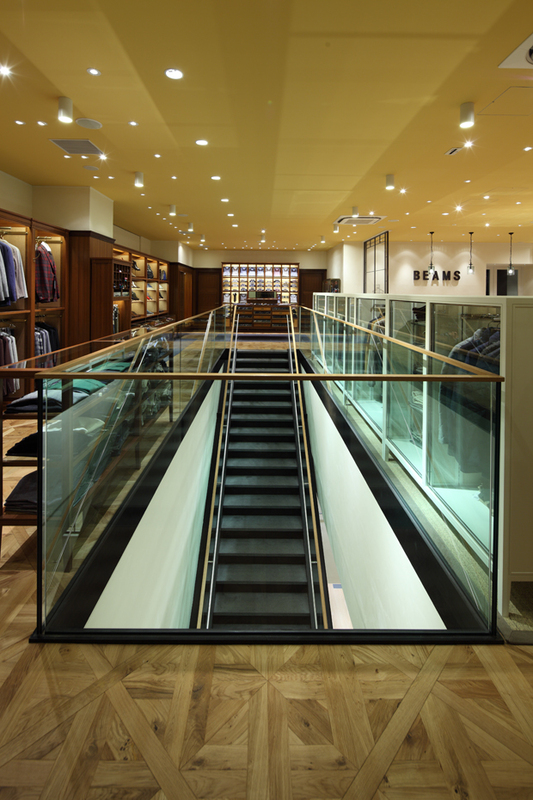 Jamo turned an existing long open central staircase into a more enclosed and discreet space in order to increase a sense of dramatic tension to greet customers as they ascend to the second floor. 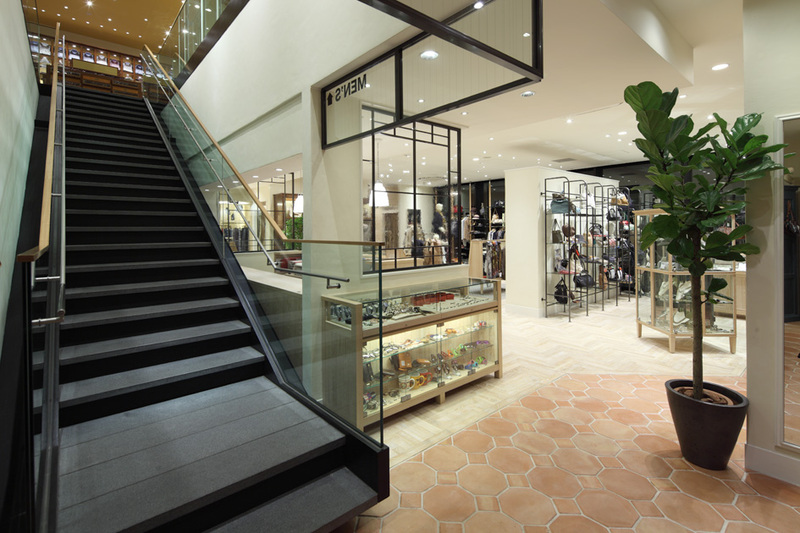 Once upstairs, they are given a sense of visual elevation through the expansive open floor plan. 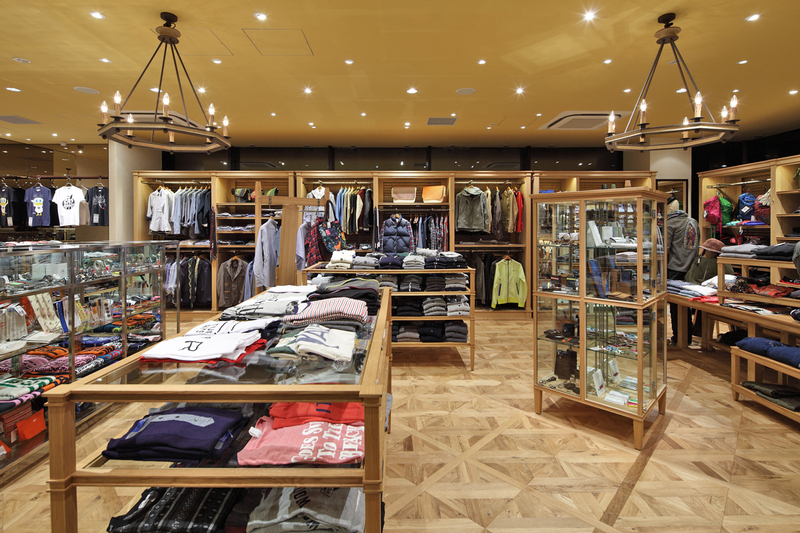 The second floor makes diverse use of oak wood, which, together with yellow paint applied to the ceiling, creates a warmth contrasting with the coolness of the LED light fixtures. 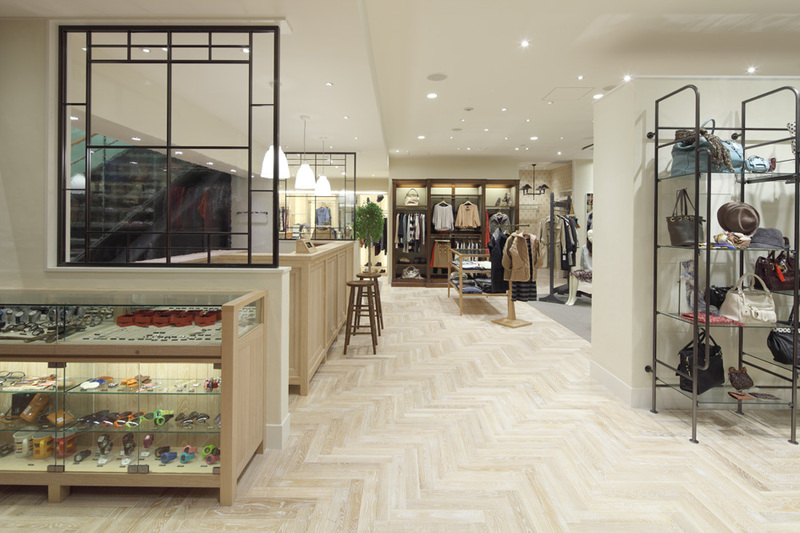 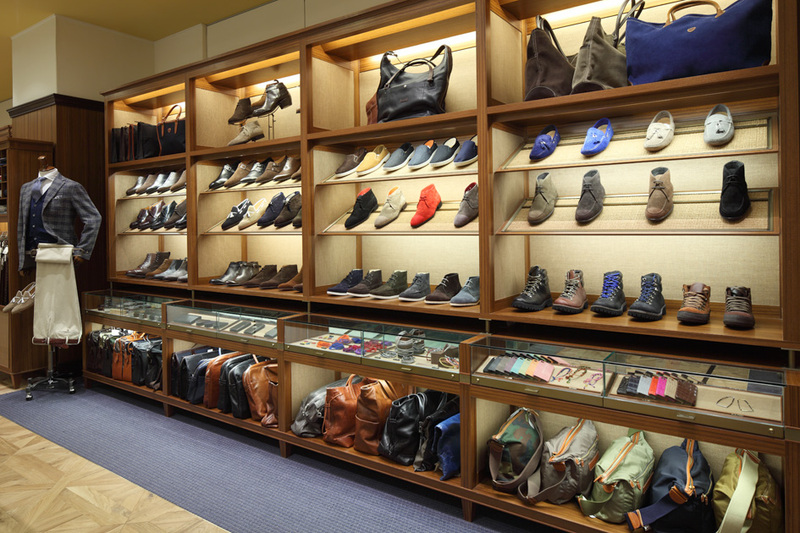 Establishing separate men's and women's floors is a necessary part of creating a concept shop like this where diverse product is functionally laid out and a sense of coherence is elegantly created throughout the entire store.